Present this sophisticated solitaire promise ring to your soul mate and be ready for the gasp of delight as you ask for their hand forever. This beautiful ring emits exceptional sparkle and radiance. Your sweetheart will find it difficult not to stare at her hand at every opportunity. Show her that she means the world to you with a surprise proposal in a romantic setting that you know she'll love. Any woman would appreciate this gorgeous 1/6 CT Round Solitaire Promise Ring set in lustrous 14K white gold. 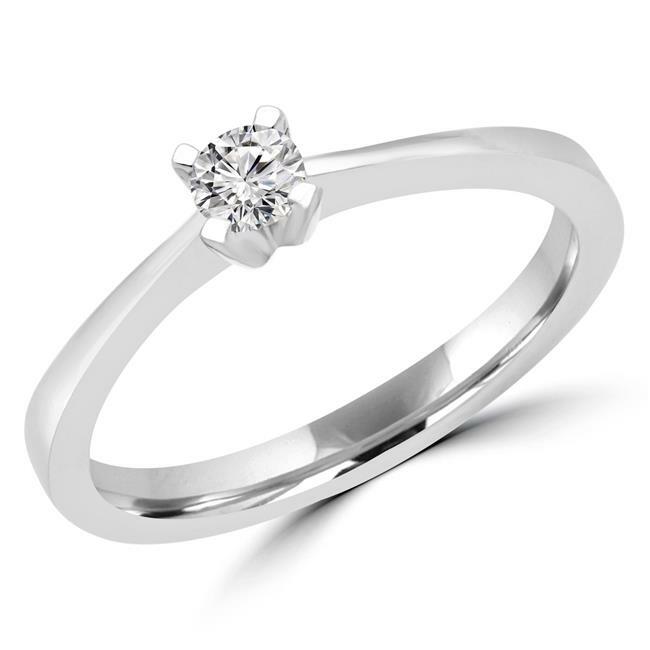 This elegant prong-set promise ring captivates with a 0.16 CT diamond solitaire at the center. The diamond has a very good cut, F-G color and VS1-VS2 clarity rating. It's an excellent choice!